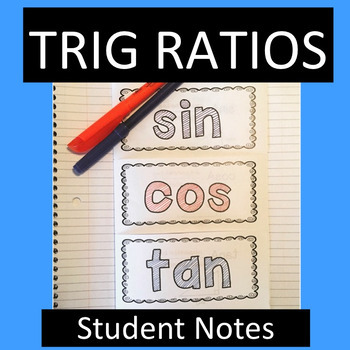 Printable of student notes on trig ratios. Includes examples for sine, cosine, and tangent ratios and finding missing sides of right triangles. Notes are intended to be folded in half and glued into the student's notebook.